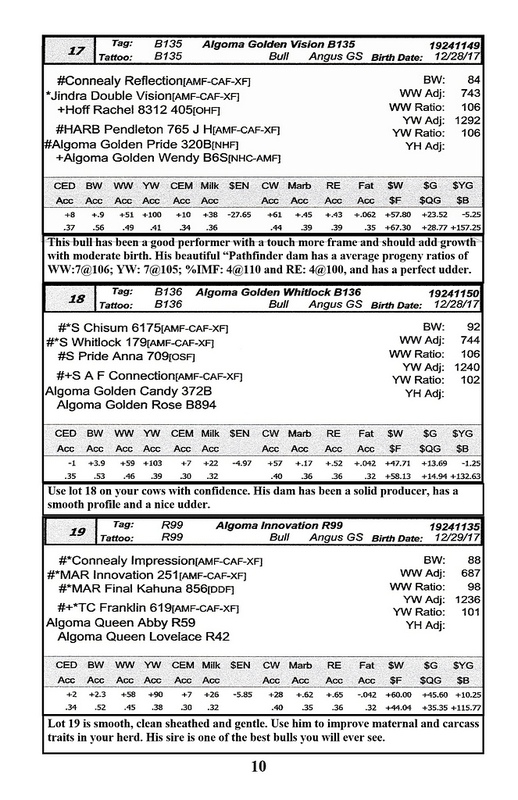 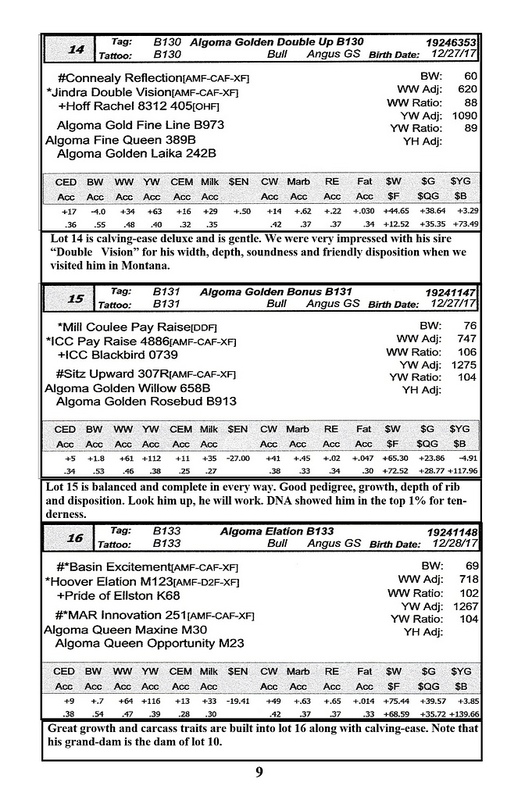 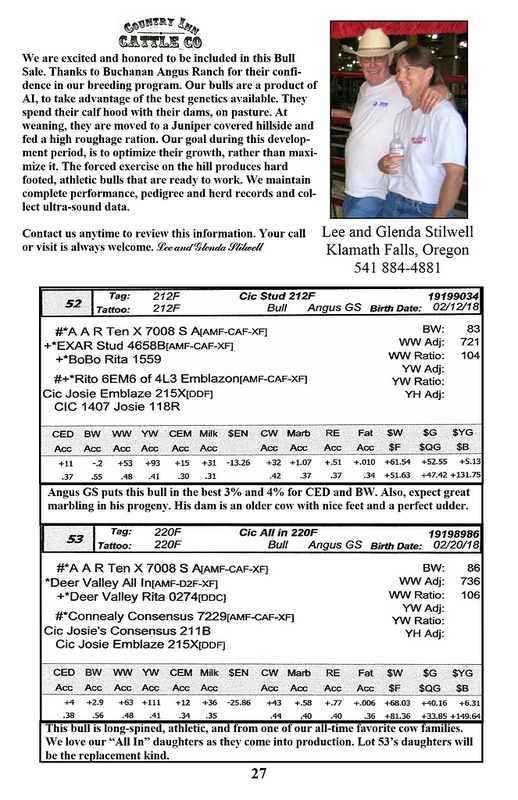 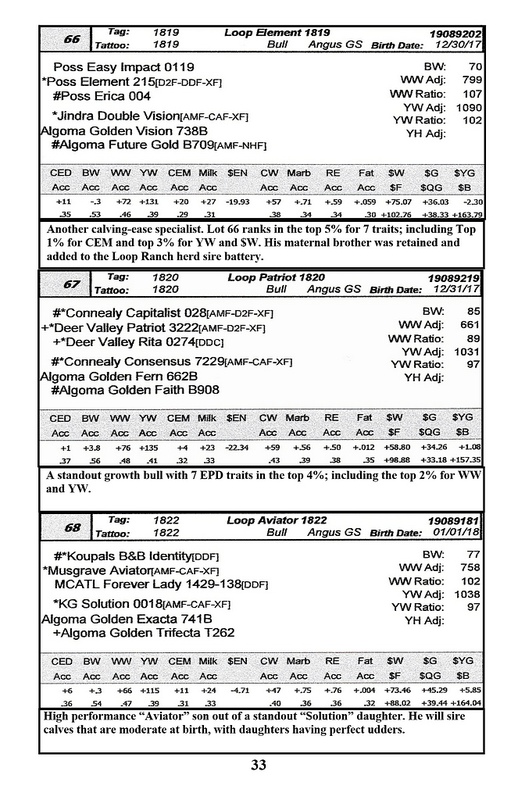 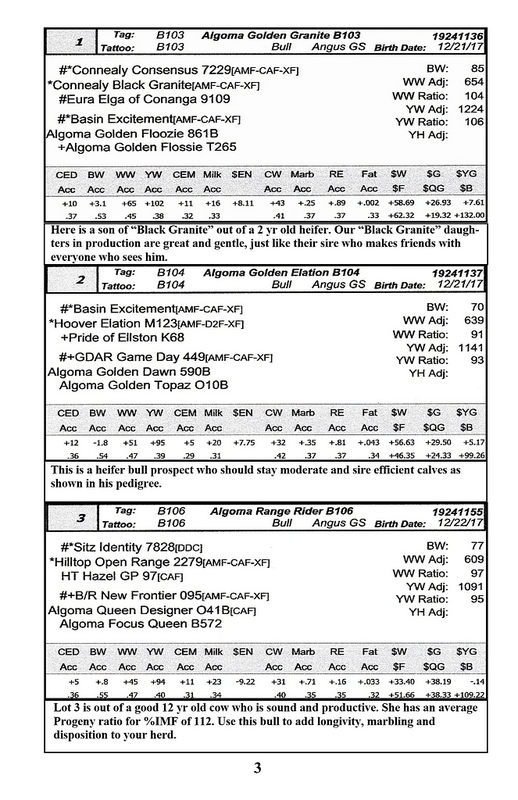 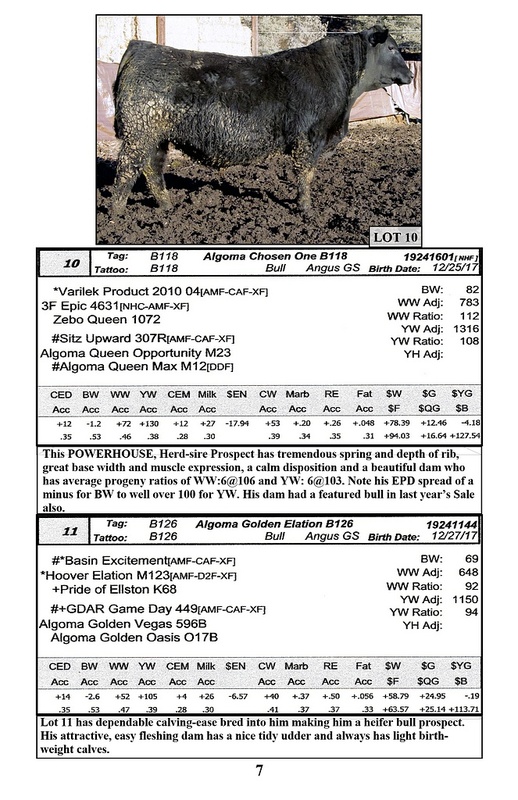 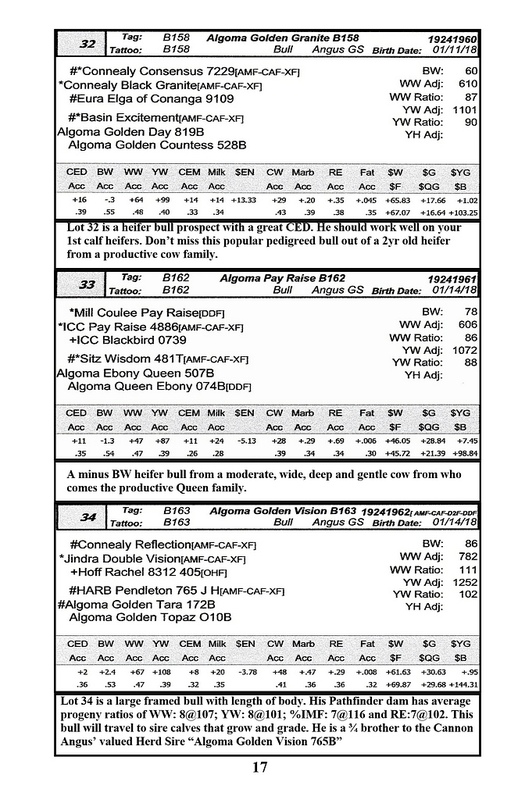 The information in this catalog is current as of 1/17/2019. 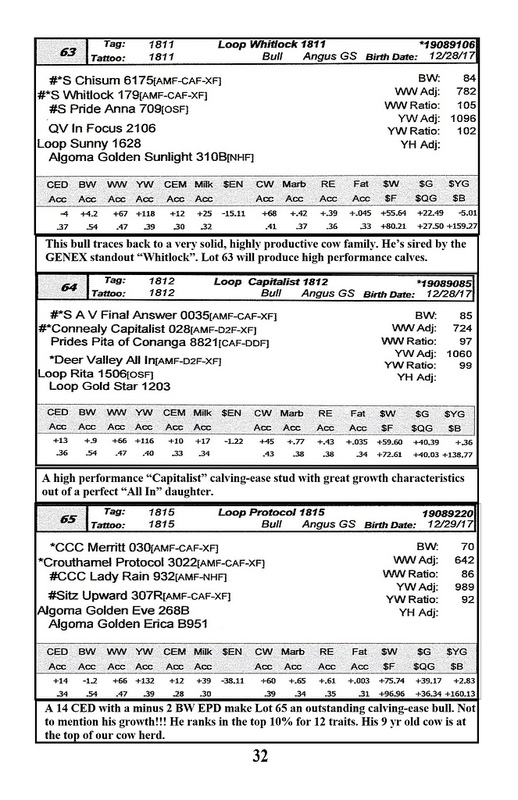 The Supplement sheet will be available at the sale check-in table. 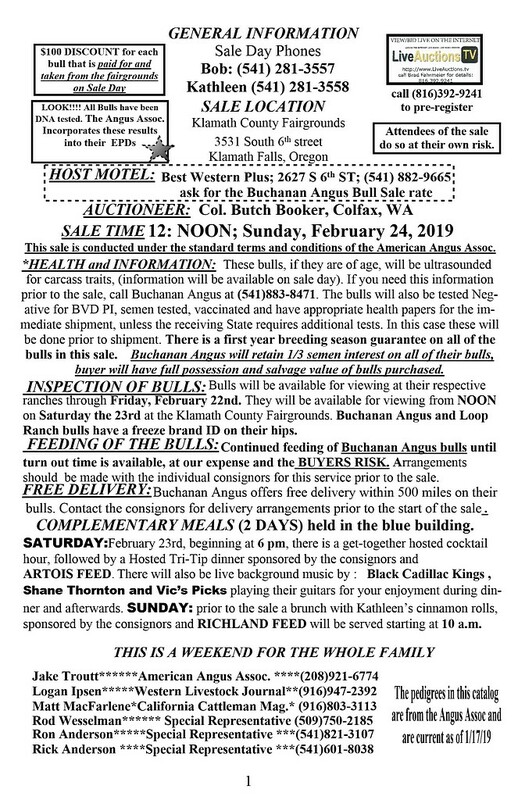 Or it can be e-mailed upon request. 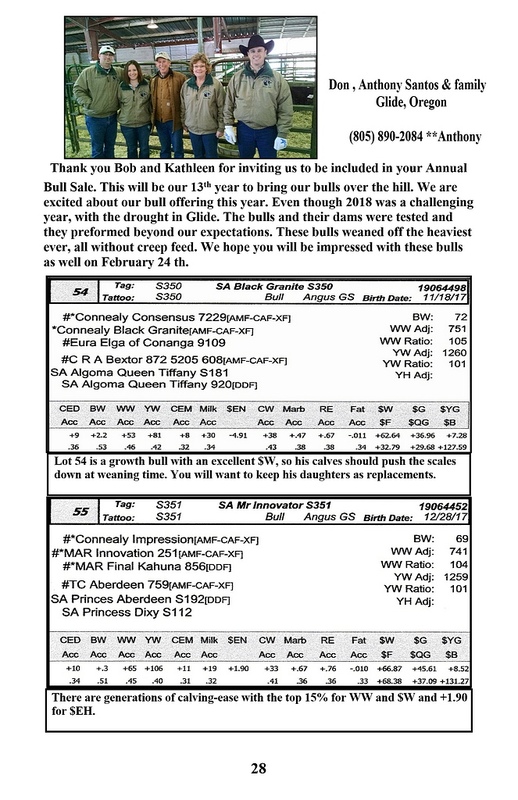 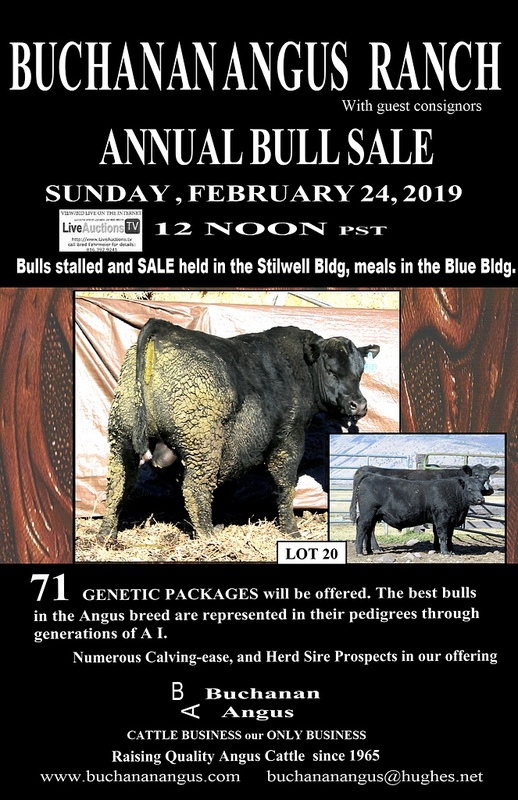  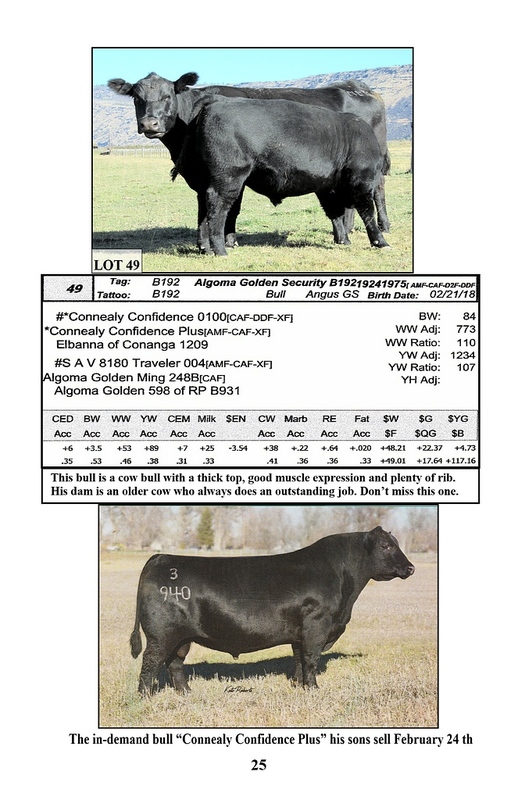 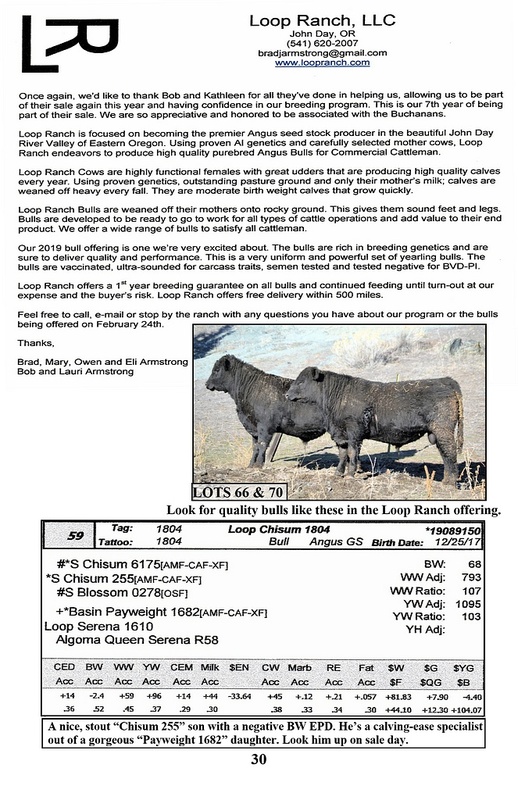 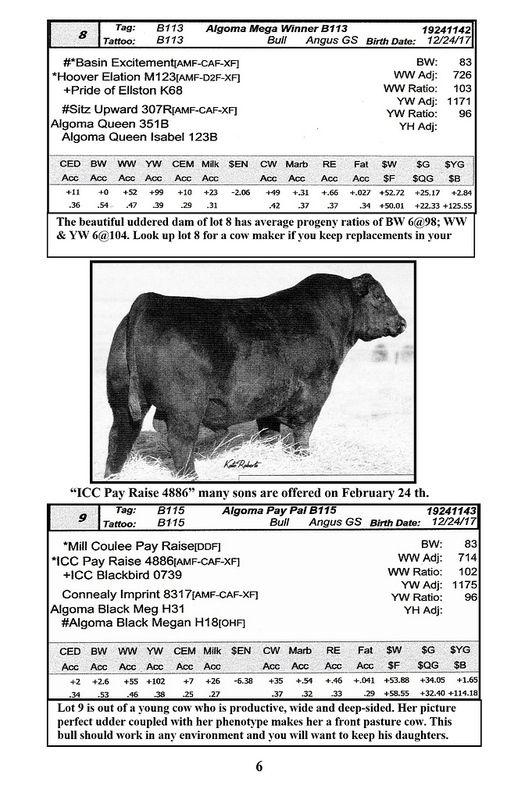 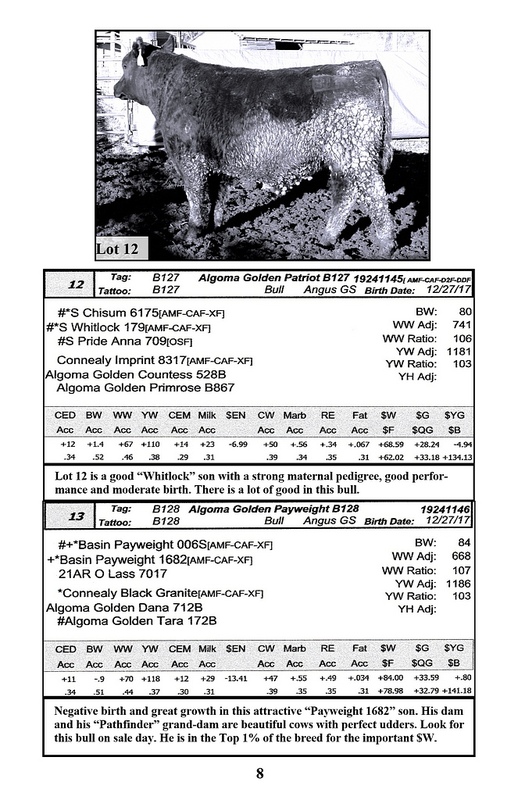 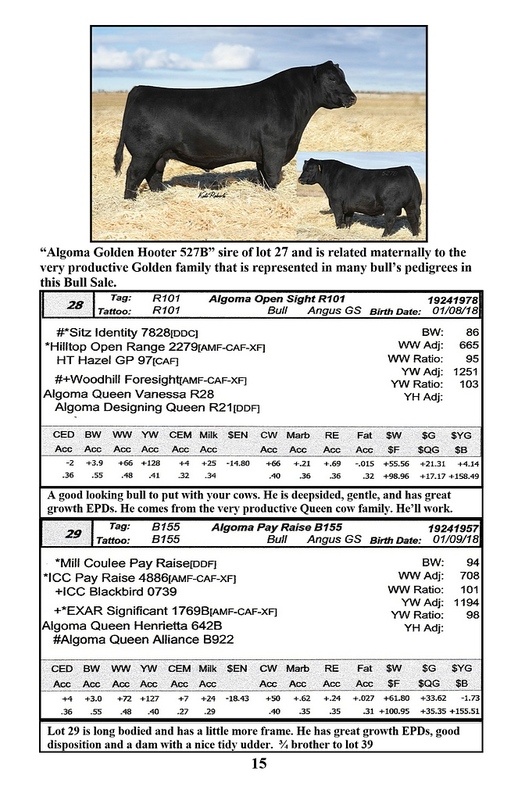 THE BULLS IN THE CATALOG ARE IN AGE ORDER FROM THE OLDEST TO THE YOUNGEST. 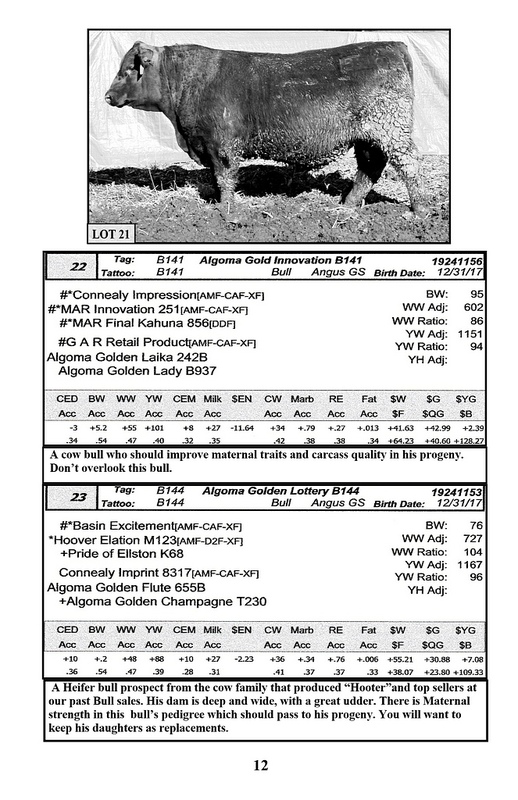 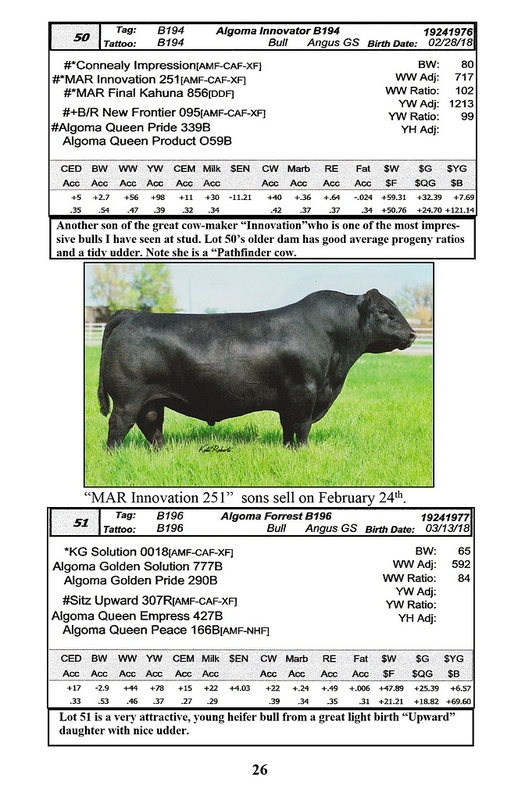 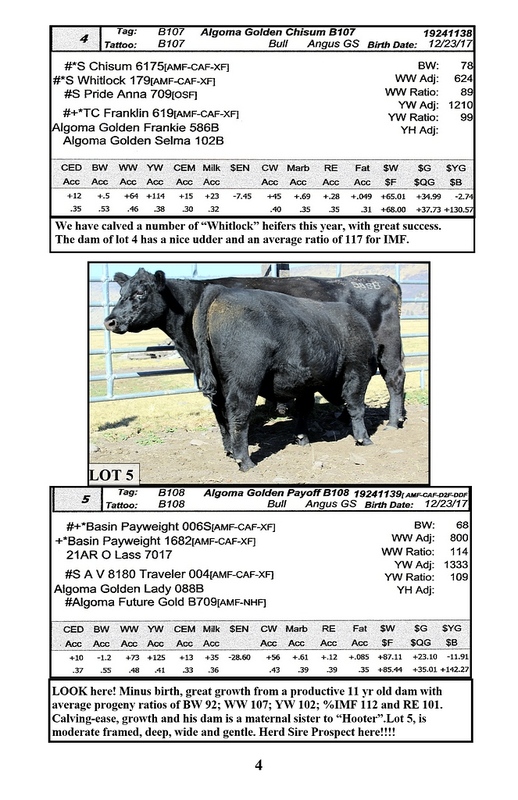 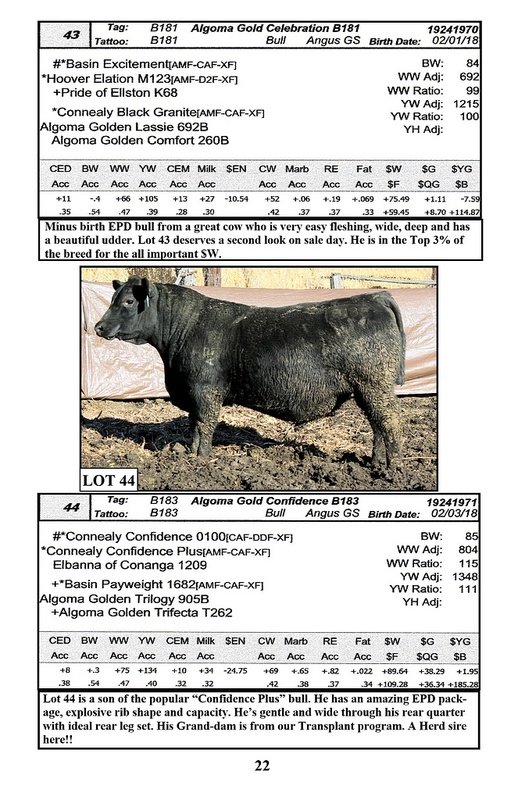 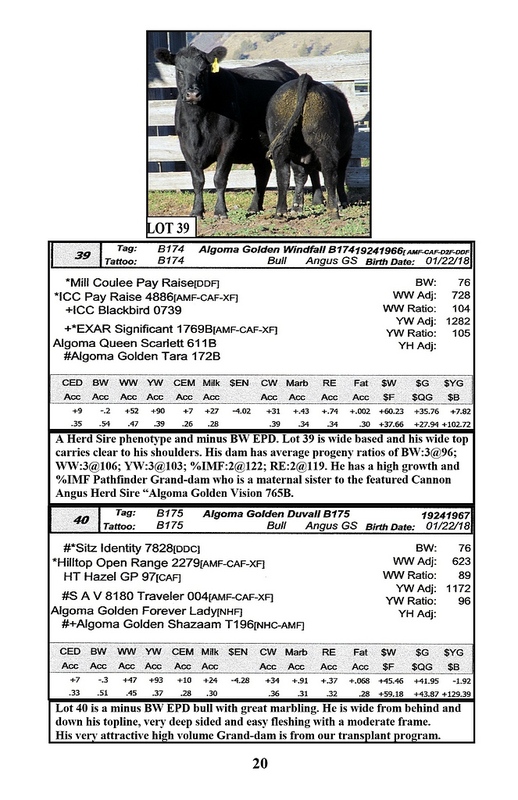 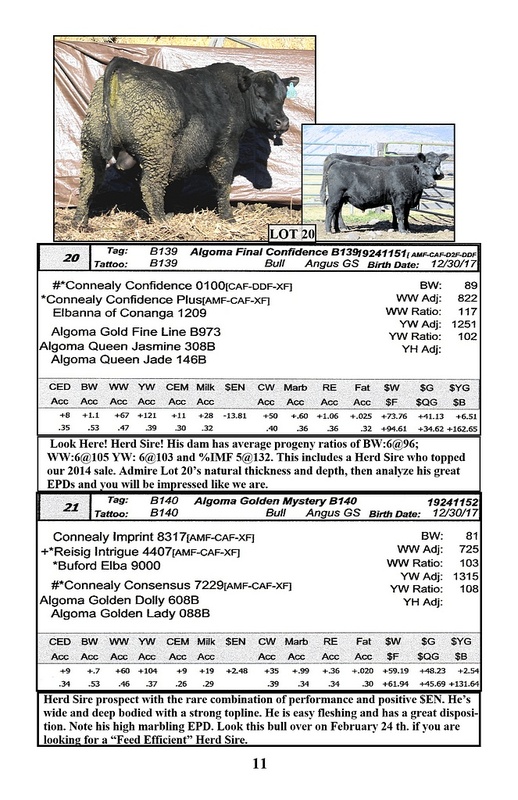 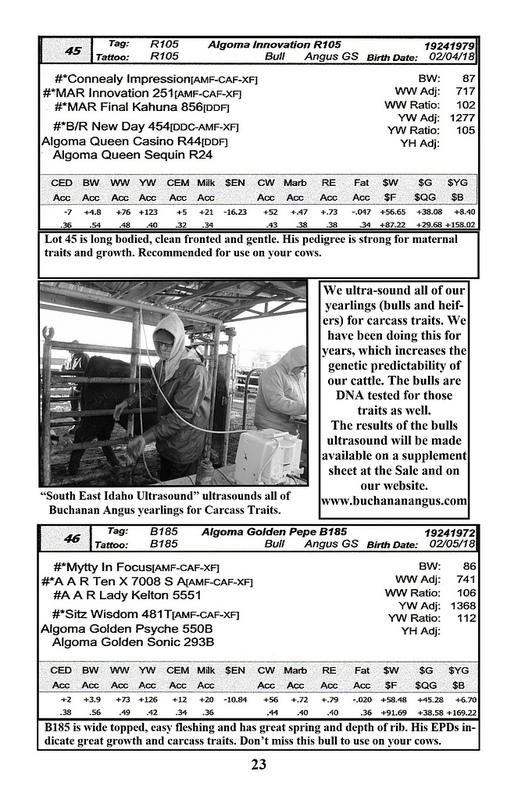 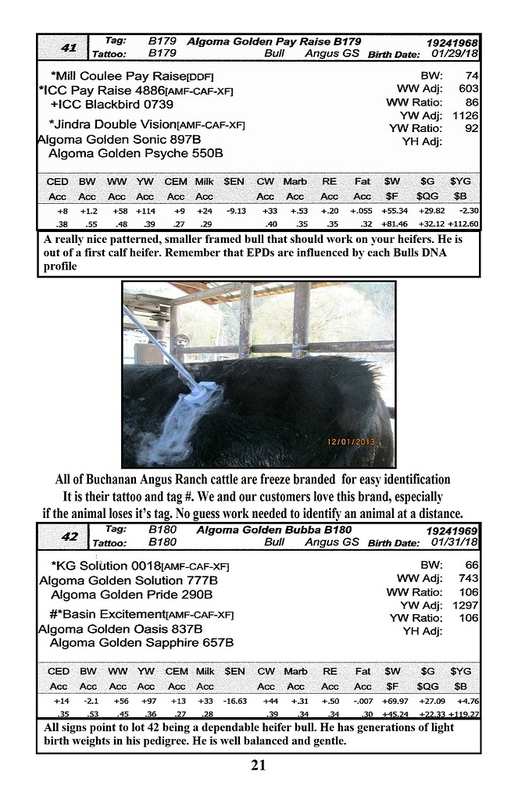 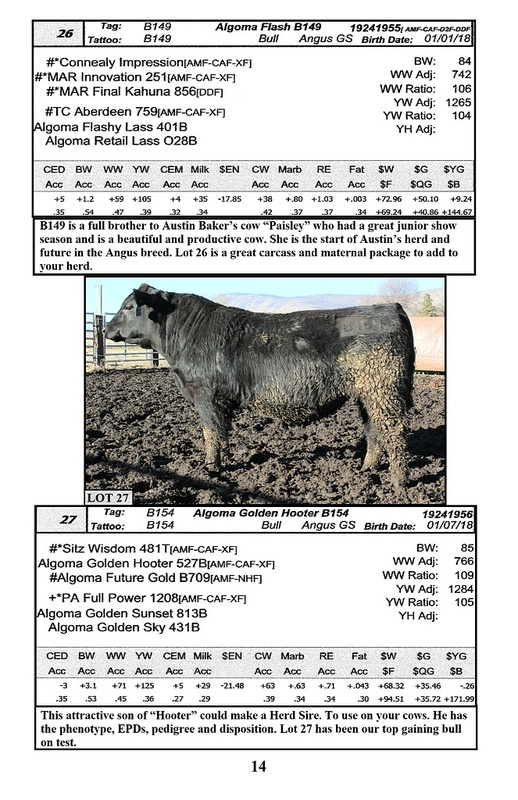 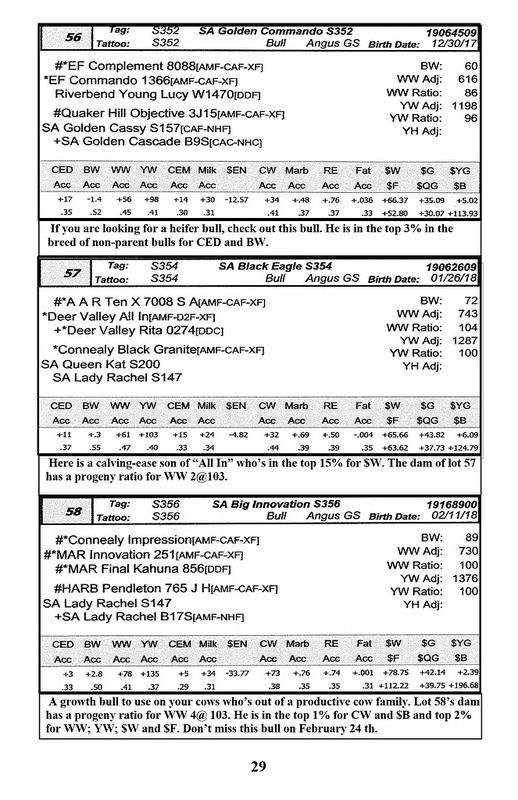 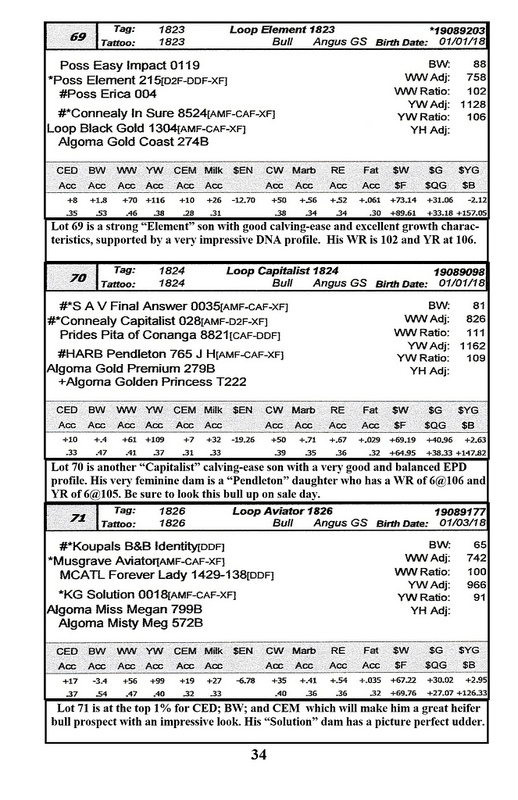 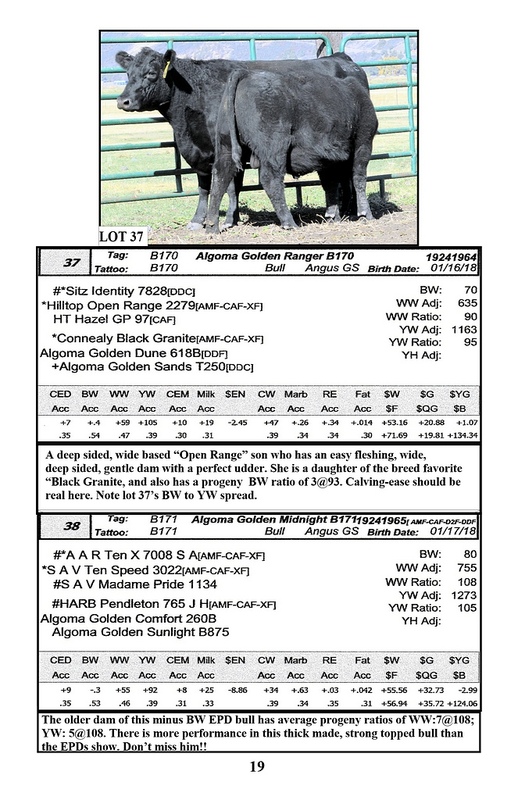 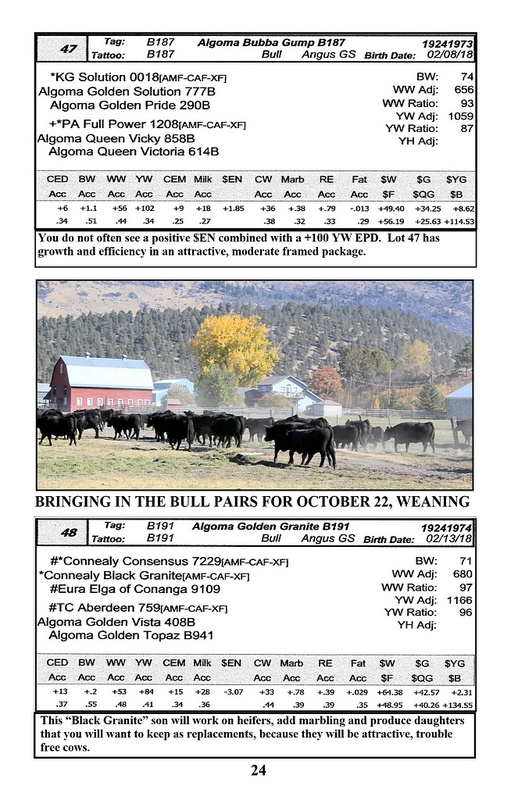 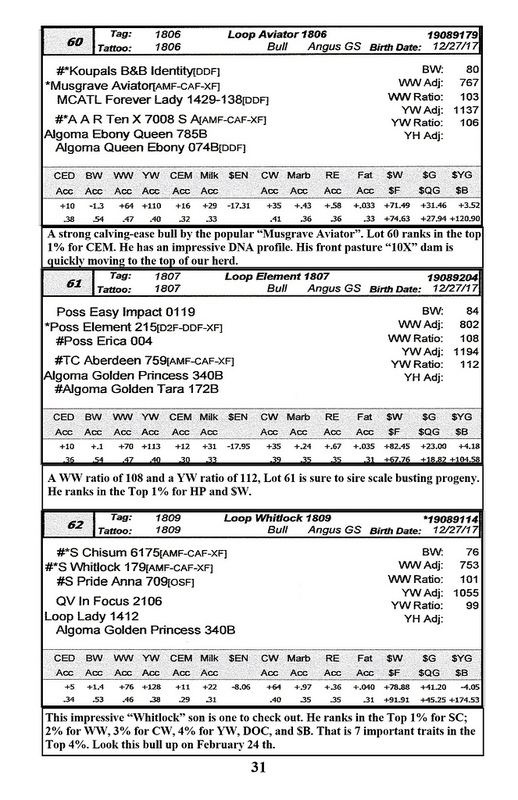 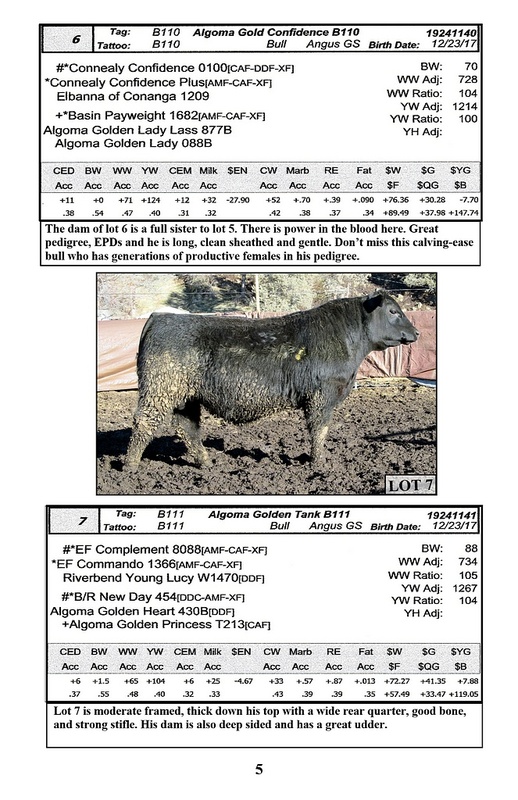 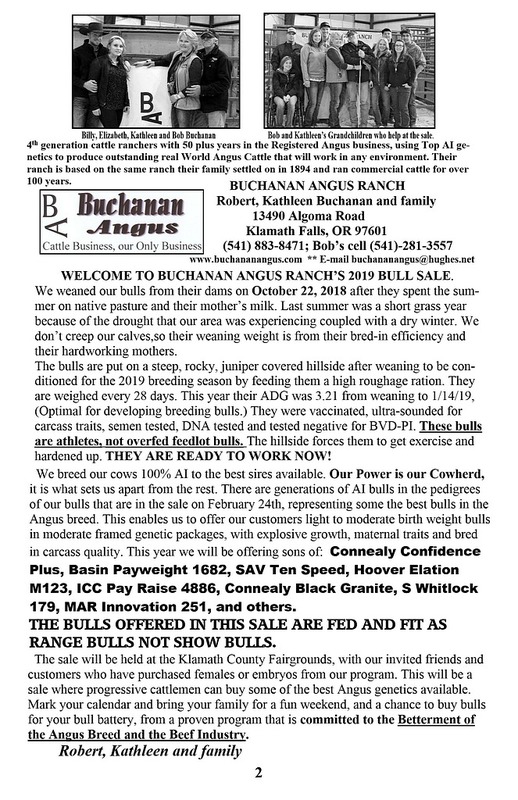 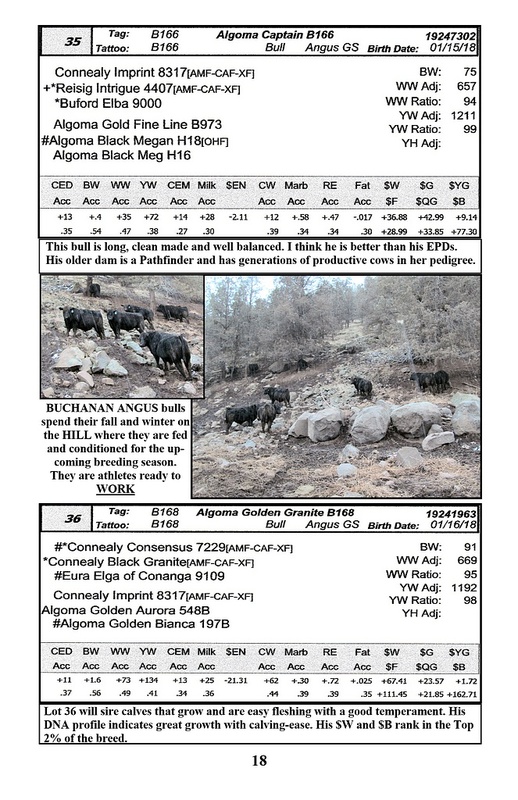 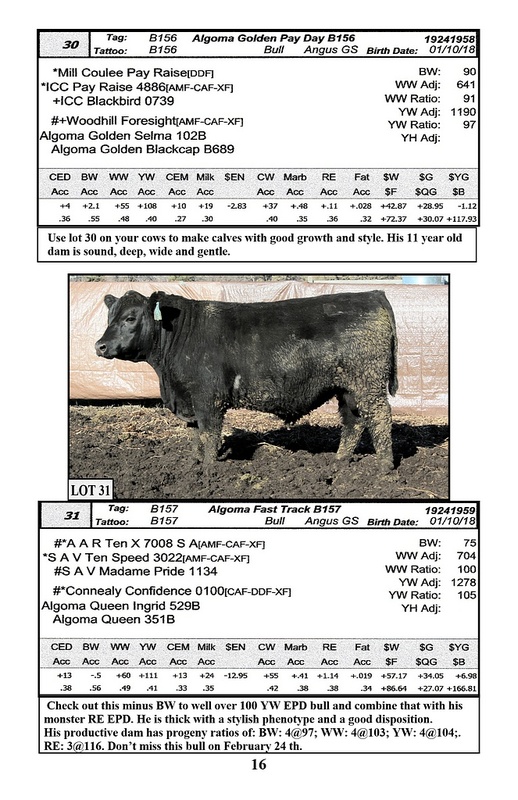 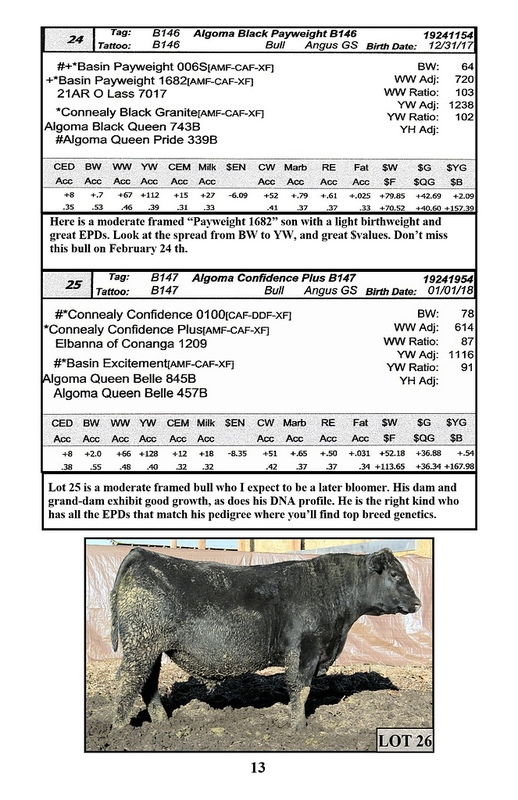 females or herdsires from the Buchanan Angus program.